The U.S. military is mobilizing to northern Europe for Trident Juncture — the largest NATO exercise since 2015. The exercise, which begins Thursday and runs through Nov. 23, will include more than 150 aircraft, 70 ships and 10,000 vehicles, according to the U.S. Defense Department. While the Marine Corps constitutes the largest U.S. service element, assets from the Navy, Army and Air Force are also heading into the region. 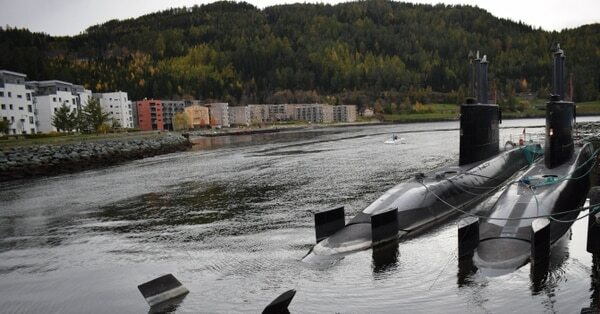 Trident Juncture will primarily take place in Norway, but portions of the exercise will also occur in Sweden, Finland and Iceland. NATO forces are hoping to take advantage of the cold, wet weather, which poses unique challenges for aircrews, ground troops and naval forces. Aside from the weather, Trident Juncture “will simulate NATO’s collective response to an armed attack against one ally," NATO Secretary General Jens Stoltenberg told the press in early October. The exercise is intended to be defensive in nature, simulating NATO’s collective response to an armed attack against its member countries, according to Stoltenberg. “All members of the Organisation for Security and Cooperation in Europe, including Russia, have been invited to send observers,” Stoltenberg said. Trident Juncture is designed to test NATO’s ability to plan and conduct a major collective defense operation — from troop training at the tactical level, to commanding large maneuver elements of a NATO force. Norway is a founding member of NATO, and has been an active participant in the organization since the signing of the North Atlantic Treaty in 1949. With growing access to the Arctic’s valuable hydrocarbons and shipping routes, Norway’s position close to the warming region has sparked concern from its leaders that Russian aggression could spill over its borders. Europe continues to be a growth point for the Air Force as concerns about Russian intentions mount. International exercises, base funding and missions on the continent are all on an upward swing. Trident Juncture will involve more than 40,000 military personnel from 31 nations to rehearse for such a scenario. The exercise is partially funded by the European Deterrence Initiative, according to U.S. Air Forces Europe. That program began in 2014 — several months after Russia’s annexation of Crimea — to deter Russian aggression against its neighbors. F-16 Fighting Falcons and KC-135 Stratotankers have been arriving at Kallax Air Base, Sweden, in support of the exercise over the past week, U.S. Air Forces Europe said in a press release. A Navy aircraft carrier strike group also returned to the Arctic Circle this month for the first time in nearly 30 years. The aircraft carrier Harry S. Truman and ships from Carrier Strike Group Eight entered the Norwegian Sea Friday, the first to do so since 1991, according to a U.S. 6th Fleet press release. The carrier will conduct its own air, surface and underwater exercises before joining NATO allies for the massive Trident Juncture maneuvers. 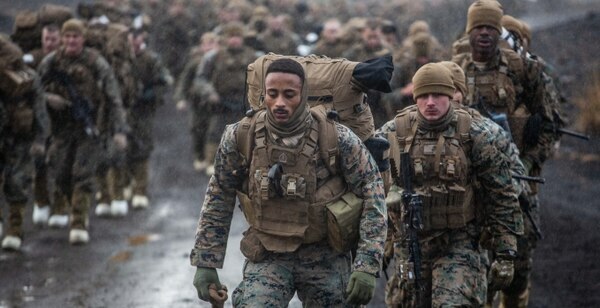 U.S. Marines with the 24th Marine Expeditionary Unit were recently in Iceland preparing for the exercise. While the main phase of Trident Juncture will start in Norway on Thursday, Marines rehearsed their capabilities in Iceland last week, conducting an amphibious air assault and cold-weather training. Norway shares a roughly 120-mile land border with Russia that some within NATO view as vulnerable. Russia’s Northern Fleet has its main base in Severomorsk, about a 3-hour drive from their shared border. NATO fears Russia’s military build-up in the Arctic, under way since 2008 and involving the establishment and reopening of multiple military bases, could impede freedom of navigation. Russia has also shown concern regarding regional tensions. 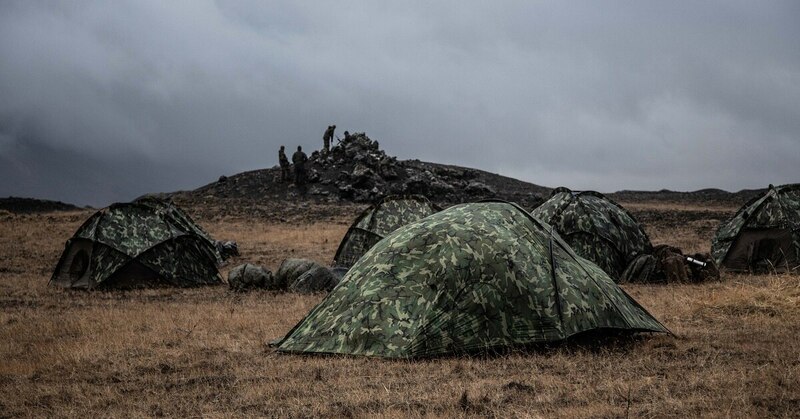 In June, the Russian embassy in Norway warned of consequences stemming from the country’s decision to boost the number of U.S. Marines it hosts from 330 to 700, as well as open a second training area closer to the Russian border in the Troms region. 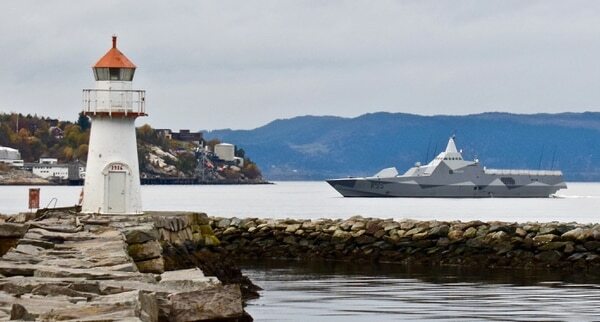 Russia argues Norway is in violation of agreements the Scandinavian country made when it joined NATO and reportedly vowed not to base permanent foreign forces in the country unless threatened or attacked. NATO isn’t alone in putting on thinly veiled exercises in these trying times. Russia recently conducted its largest show of force in several decades with its Vostok 2018 military exercise in September. China and Mongolia both participated in those maneuvers in Russia’s Far East and Siberia. Moscow and Beijing also conducted joint naval drills in the Baltic Sea last summer.